Ancient Sanskrit name Utkarsh (Sanskrit उत्कर्ष) means improvement or advancement. Utkarsh also refers to high quality, eminent, glorious and progress. Reference of ancient Sanskrit name Utkarsh is found in Yagyavalakya (याज्ञवल्क्य) with meanings like much, excessive, boastful or exaggerated. Utkarsh also founds reference in Manu-Smiriti (मनु-स्मृति), Panchtantra (पञ्चतन्त्र), Ramayan and Hitopdesh (हितोपदेश) where this word is used for excellence or eminence. Mention of Utkarsh is also found in Katyayan-Shraut-Sutra (कात्यायन-श्रौत-सूत्र) in which Utkarsh means omitting. This name is also mentioned in Nyayamala-Vistar (न्यायमाला-विस्तर) where Utkarsh refers to delaying or putting off. 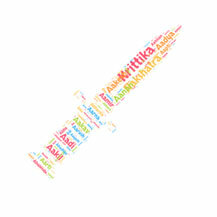 Utkarsh is a very popular name in India. 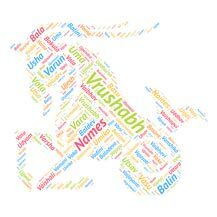 Utkarsh is used by thousands of people in India as the name of their children. Utkarsh is a somewhat popular name in the USA. Utkarsh was popular since the year 1998 to 2012 as the name of their children. In our opinion Utkarsh is a nice name with a nice meaning attached to it. Utkarsh is also a stylish name. Utkarsh Ambudkar is an American actor. Utkarsh Verma is an Indian politician who has been Member of Uttar Pradesh legislative Assembly. Arya (अर्य) is a masculine / feminine first name in India th..
Ajar is the ancient Sanskrit name which literally means ever..
Sanskrit word Prayan (प्रयाण/प्रायण) means beginning, commen.. Derived from Sanskrit word Jaya means victorious, conquering..